Multiplex 10 is coming… on January 29, 2018! With the end of post-production in sight, I can finally announce that the Multiplex 10 animated short will be released to the public via Vimeo On Demand on January 29, 2018!!! (Kickstarter backers will get to see it over a month earlier, though, via an exclusive early access streaming link!) The time in-between is necessary to maximize our marketing mojo. 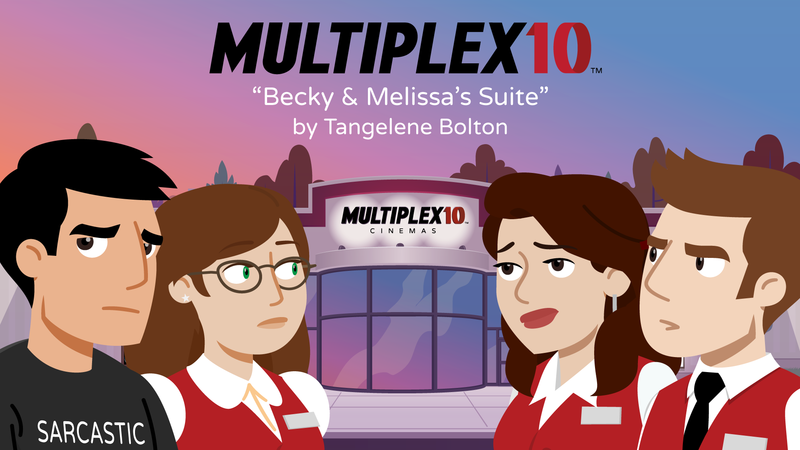 We need to submit to film festivals, send out copies for review, and so on, as that is our best chance to raise the funds to make more (and even better) Multiplex 10 episodes. Thanks to everyone for their patience while the short was in production (and post-production), especially during the several weeks I needed to take a break and fix my shoulder. We’re allllmost there. Previous Previous post: Hey, kids! Multiplex 10 reaction GIFs! Next Next post: Multiplex 10 Indiegogo Second Chance Campaign has launched!